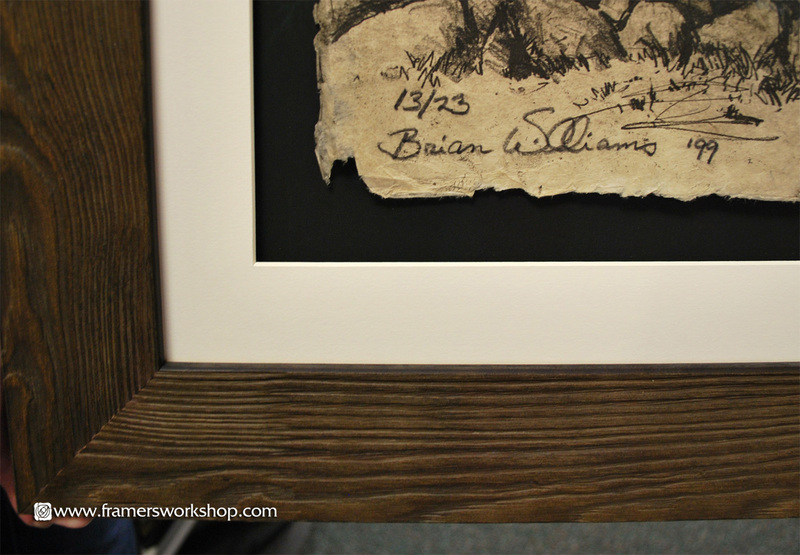 Peruvian born artist, Brian Williams, was educated in the United States and has lived in Japan since 1972. His paintings, drawings and lithographs are well known throughout Japan, capturing the rugged natural and architectural beauty of traditional Japanese culture. 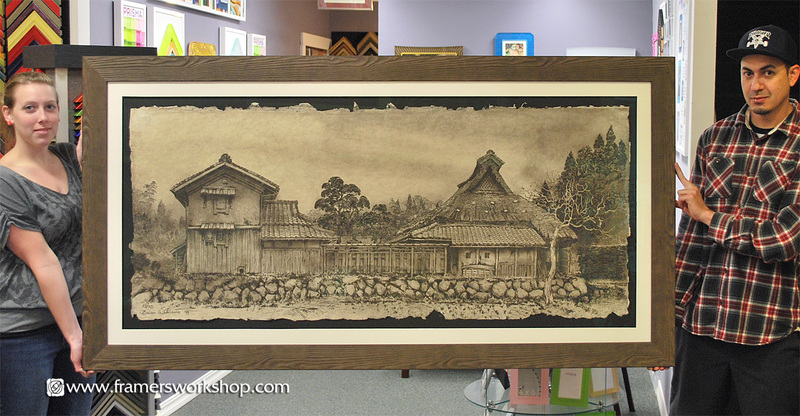 This oversize lithograph uses a raised float mount for added depth on an archival backing, using Mulberry paper hinges with rice starch paste, archival matting, Museum Glass to protect against UV light and reduce glare, and a sturdy, highly textured "barn wood" frame.